Redan Publishing creates fun magazines that children love! And it's not just geared to the little ones! Some of the magazines are perfect for Tweens! My daughter has been getting Sparkle for the last year and LOVES it! 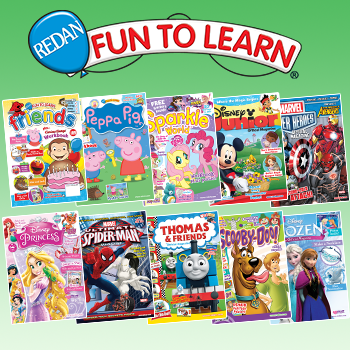 It includes her favorite characters, fun quizzes and activities! She's always excited when she receives her newest copy! If you are looking for an awesome Christmas gift consider one of these magazines! Definitely a gift that will continue to make the kids happy all year long!